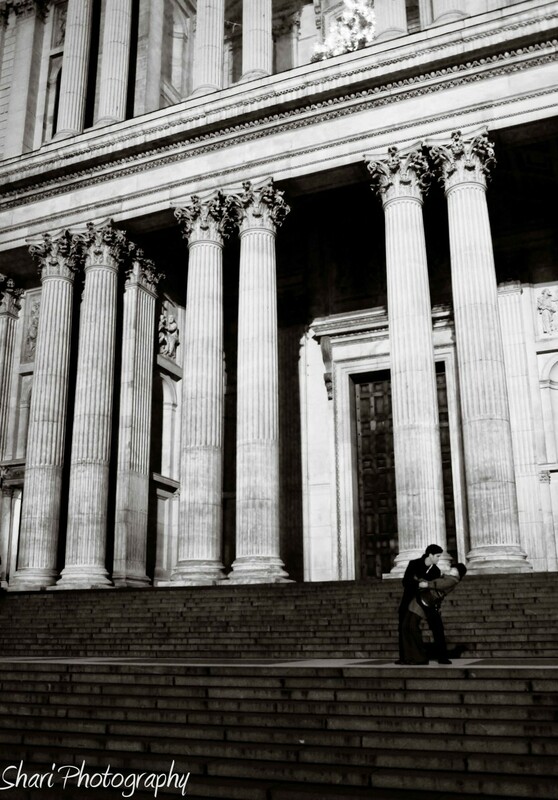 This is outside St Paul’s Cathedral . My brother in law took the picture after I set it up for him. Has a Fellini- esque look to it. Once again I am amazed at the Canon 5D Mk 2’s low light capabilities. This was shot at ISO 6000. You’d expect to see heavy noise or grain in the blacks of the image but it is surprisingly clean. Taken at dark with the only lights being the flood lights on the building and a street light by Nick. This entry was posted in Engagement, Portraits and tagged Portaits.